Rosacea affects 16 million Americans and almost 95 percent of them had known little or nothing about the disease. Because more often it is left untreated, chance is it will get worse before it is diagnosed. Rosacea is an incurable skin condition, but with the right acne rosacea treatment, it can be easily managed and controlled. Now there are 4 categories of rosacea according to symptoms and progression; to which the kinds of treatment and prevention is based. Rosacea subtype 1 (erythematotelangiectatic) is characterized by facial redness, flushing, visible blood vessels, and a notable facial discomfort. 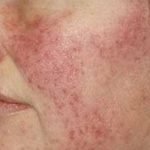 For those with this early stage of rosacea, identifying, avoiding, and managing the factors that trigger facial redness is the first and foremost thing to be considered. Laser or intense pulsed light therapy can greatly help in reducing facial redness and lessens the visibility of facial blood vessels. Also, flushing and redness can be concealed by appropriate non-comedogenic cosmetics. 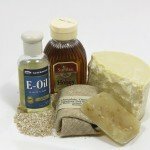 In some cases, extensive flushing can be toned down with the help of certain drugs. Rosacea subtype 2 (papulopustular) is characterized by persistent facial redness, flushing, and acne-like bumps and pimples. Also, burning or stinging sensation in the face may be experienced. There are now available drugs and topical medications that can be taken to lessen the symptoms of rosacea subtype 2. 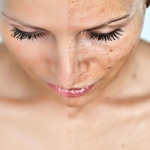 Also, laser treatments such as dermatological vascular laser, intense pulsed light laser, CO2 lasers, and even photo rejuvenation can be used to reduce or even eliminate facial redness due to acne rosacea. 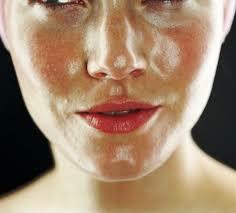 Rosacea subtype 3 (phymatous) is characterized by skin thickening and inflammation of the skin around the nose. Men are more prone to this condition. Though most mild cases can be easily treated with proper medication, moderate to severe cases of this condition usually require surgery. Rosacea subtype 4 (ocular) is mostly characterized by eye symptoms which include dryness, blurred vision, itching, watery eye, sensitivity to light, bloodshot appearance of the eye, foreign body sensation in the eye, and stinging and burning sensation in the eye. Ocular rosacea acne treatment includes taking oral antibiotics, artificial tears, and daily cleansing of eye lashes. To those who are suffering from a severe case of ocular rosacea, ophthalmic treatments by an eye specialist is recommended. Awareness of easy signs and symptoms of rosacea can greatly help in preventing it from getting worse. Also, making the necessary adjustment in eating habits and lifestyle can help prevent the symptoms from getting worse. It can also make acne rosacea treatment more effective and keep the factors that trigger the disease under control. Next Post: How Do You Treat a Pancreatic Pseudocyst?